Do incidents that would be minor annoyances for other people send you into a rage? Just imagine what it would feel like if life’s frustrations would just roll off your back. If you get angry easily you may feel somewhat ashamed and guilty after every outburst but don’t know what to do about it. 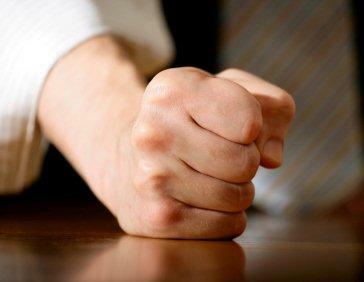 Did you know that when you get angry, your heart pounds and pumps less efficiently? Over time, your heart and arteries can become damaged. Chronically angry people, especially men, are far more likely to have a heart attack or other form of cardiovascular disease. It is important to have a healthy way to manage anger. When you get angry, your body goes into a trance-like state and the rage takes over. At that point, nothing is logical. If you can learn to put your body into a different kind of trance, you will find that you can remain calm more often in situations that would previously have caused you to lash out in anger and rage at those around you. By gaining control over these outbursts you will be able to step back and evaluate if the level of anger is appropriate for the situation. Most times it isn’t.The control you will gain over your anger will help you avoid saying or doing something you may regret for the rest of your life. Use breathing as a tool to stop the anger from escalating. Take a deep breath in, breathing in sanity and clarity and exhale blowing out of your mouth the anger, frustration, what ever it is you are feeling,make it long and drawn out with pursed lips .Do this 5 or 6 times until you begin to feel a little more in control. Give yourself a break. It’s easier to think when you’re calm than when you’re agitated. Leave the room, take a walk, sing a song, whatever. Then come back to the problem, examine it, and solve it. Hypnosis can help to put your body into a healthy kind of trance instead of the kind of irrational state that occurs when anger takes over your mind. You can then be more objective and find a more effective way to resolve the issue without getting angry. A good hypnotherapist can teach you how. If you feel the need to vent, find a safe spot to act out your anger, whether it is certain breathing exercises, punching pillows, a punching bag or just screaming. Go to the basement or someplace safe where you feel you can let out the stress! Stop everything! Don’t say anything don’t do anything, instead just count to ten. Sounds simple, but counting to ten is an anger management tip that has worked for centuries! Counting to ten helps you to step back from the situation and gives you time to examine the problem and decide on an effective, rational way to express your anger. This gives you time to gauge whether the level of anger is appropriate for the situation. Look at the positive.Learn to act and not react. Find more positive ways to express your emotions! I am able to express myself clearly without raising my voice. I am aware that this feeling of anger will pass. I am aware that anything I say while angry I may regret for years to come. I am capable of controlling my anger and expressing it when and where it is appropriate. I am able to breathe deeply.